Wizkid. He is a Nigerian singer and songwriter. He started recording music at a very young age 11 and later managed to release an album with the Glorious Five, a group he and a few of his church mates formed. In 2009, he signed a record deal with Banky W's record label popularly known as Empire Mates Entertainment (E.M.E). He rose to fame in 2010 with the release of the hit song " Holla at Your Boy " from his debut album Superstar in 2011. "Tease Me/Bad Guys", " Don't Dull ", "Love My Baby", "Pakurumo" and "Oluwa Lo Ni" were also released as singles from the same album. Wizkid was born in Surulere, a residential and commercial area of Lagos. He grew up in an interfaith household with twelve female siblings,his mother is a Christian and his father muslim. In a 2012 radio interview with Tim Westwood , he said that his father has three wives. When growing up, he listened to songs recorded by King Sunny Ade , Fela Kuti , and Bob Marley. Its of no surprise Wizkid started singing at age 11 and went by the stage name Lil Prinz until 2006. In an interview with Adesope of Factory 78 TV, Wizkid described his life in a nutshell, He said " i formed a group called the Glorious Five with a couple of his church friends, the group managed to release an album prior to disbanding". Later on he met late OJB Jezreel , a record producer who prevented him from recording for a year While visiting OJB's Point Beat Studios frequently, he watched 2 Face Idibia record songs for his Grass 2 Grace album. He was also present during the recording sessions for Sound Sultan 's debut album, Jagbajantis.Wizkid saw Naeto C as one of the people who mentored and coached him when he was 15 years old. He also went further saying that his parents weren't receptive of his music from the onset. In order to gain his father's trust, he had to work hard and spend lots of time in the studio. He co-wrote Banky W's "Omoge You Too Much", a song off The W Experience album. He also worked with Naeto C, late OJB Jezreel, Ikechukwu, and M.I while developing his craft. Early 2009, Wizkid inked a record deal with Banky W.'s Empire Mates Entertainment. In mid-2009, he dropped out of Lagos State University (LASU) to focus on his craft. He later attended Lead City University , but dropped out after completing two sessions. Wizkid began recording his debut studio album, Superstar , in 2009, 2nd January 2010, he released " Holla at Your Boy " as the album's lead single. The song which earned him the Next Rated award at The Headies 2011 , and was later nominated for Best Pop Single at the aforementioned awards show. The music video for "Holla at Your Boy" was later nominated for Most Gifted Newcomer Video at the 2011 at Channel O Music Video Awards, it was also nominated for Best Afro Pop Video at the 2011 Nigeria Music Video Awards (NMVA). On 2 April 2010, Wizkid released " Tease Me/Bad Guys" as the album's second single. The song was initially released as a freestyle " Don't Dull ". The album's third single, was released on 6 December 2010, it was recorded in English and Yoruba and was later released on 12 June 2011, by Empire Mates Entertainment. The album incorporates elements of R&B, dancehall, and reggae. Wizkid collaborated with a wide range of music producers, including E-Kelly, Jay Sleek, Shizzi , DJ Klem, Masterkraft, Q-Beats and Samklef. The album features guest appearances from Banky W. , Skales, D'Prince and Wande Coal . It was initially scheduled for release on 14 February 2011, but was later pushed back on 12 June 2011 due to some unknown issues. 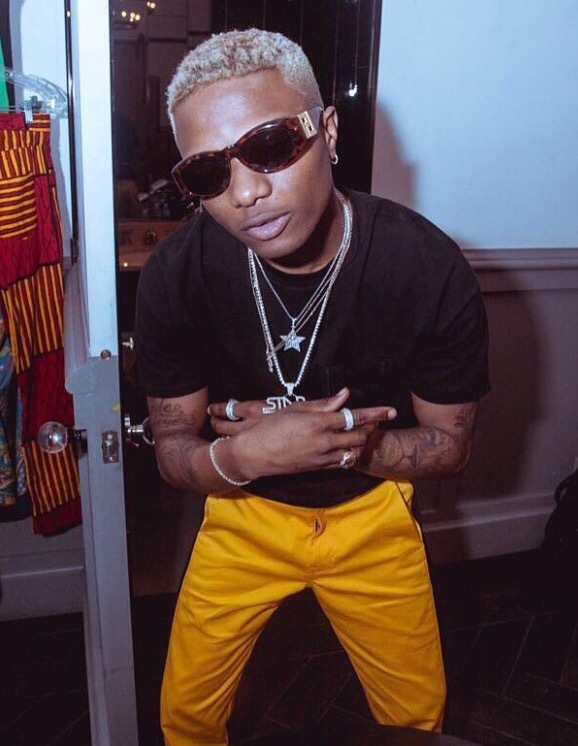 Wizkid hosted an album launch party at the Expo Hall of the Eko Hotel and Suites,the album's launch party featured performances from A list artist. The Superstar album crowned Best Album of the Year at the 2012 Nigeria Entertainment Awards, and was nominated for Album of the Year at The Headies 2012 . 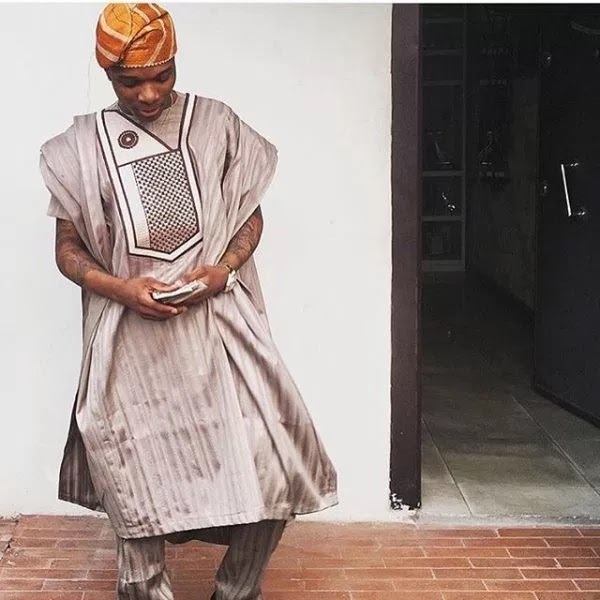 After Wizkid contract termination from E.M.E, Wizkid's self-titled second studio album, Ayo , was released in September 2014 and was preceded by six singles: "Jaiye Jaiye ", "On Top Your Matter", "One Question", "Joy", "Bombay" and "Show You the Money".